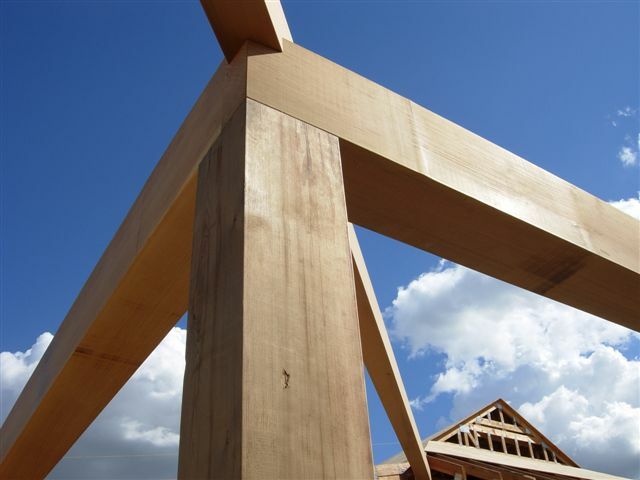 PacWest provides consistent supply of the highest quality building material available. Available in both Douglas Fir and Hem-Fir in all grades with the primary emphasis on Appearance Grade. 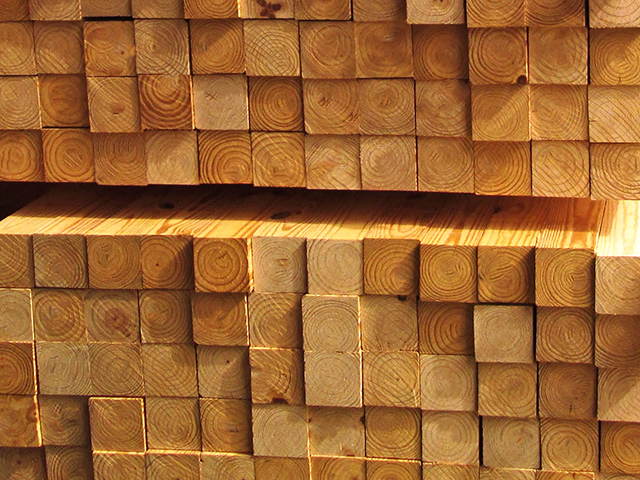 All material is thoroughly dried to 19% moisture content for added stability and resistance to checking and splitting. 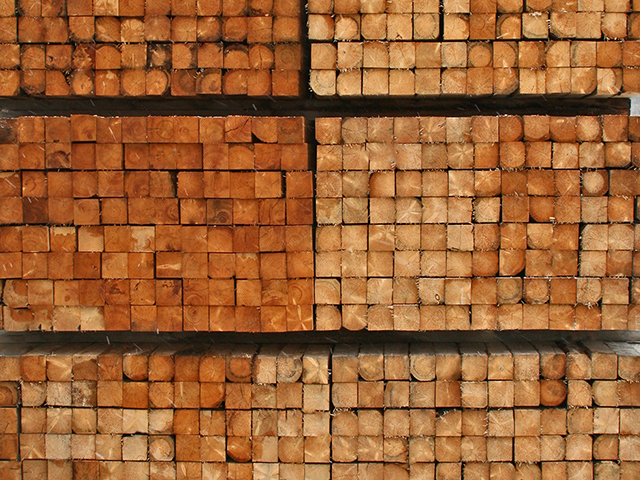 All grades of Kiln Dried 4×4 contain a “Heat-treated” stamp. We market this product on an exclusive basis with regional distributors in many but not all areas of the U.S. There are many advantages to using Kiln Dried 4×4. 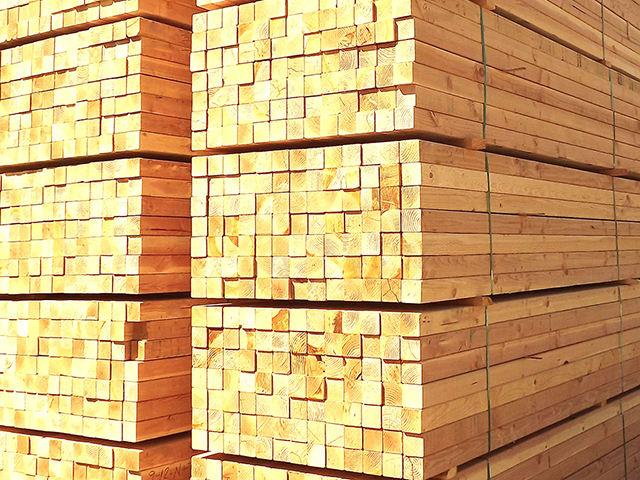 We invite you to contact a PacWest Lumber trader in Lakewood, Washington at (253) 588-2132 or in Portland, Oregon at (503) 595-0166 for more information on any of our lumber and timber products. Kiln Dried Product: Yardability, less cracking and twisting, lack of sap stain, reduced shipping costs, superior point of purchase appeal. Inventory Turns: Design only the tallies you need (8′ – 20′), kiln dried products yields less fall down, limited distribution means less competition, more profit and faster inventory turns. Products Usage: Designed for the home center trade as well as the furniture and treated markets. * “Heat Treated” stamped to meet all packaging needs. 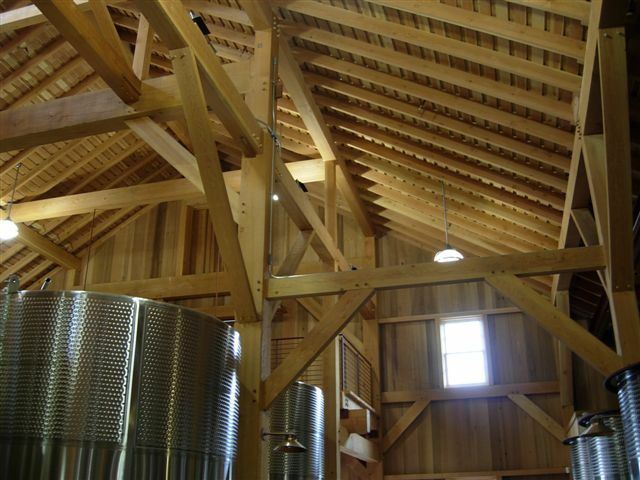 One of the principal uses of timbers is as exposed beams. 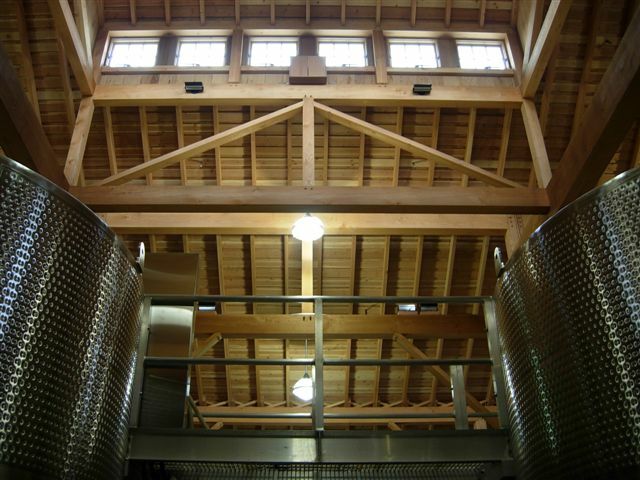 Although Douglas Fir is often the preferred species, various other softwood species are in demand including Hem-Fir, White Pine, Western Red Cedar, and Lodgepole Pine. 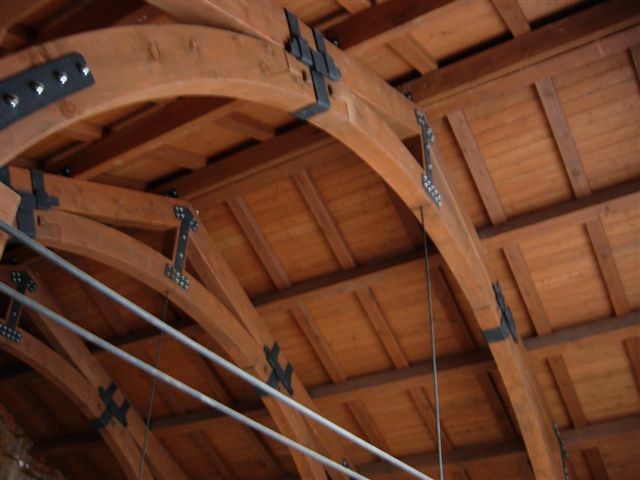 Exposed beams represent the best of both worlds: high quality appearance and superior structural integrity. They are produced both kiln dried and unseasoned. 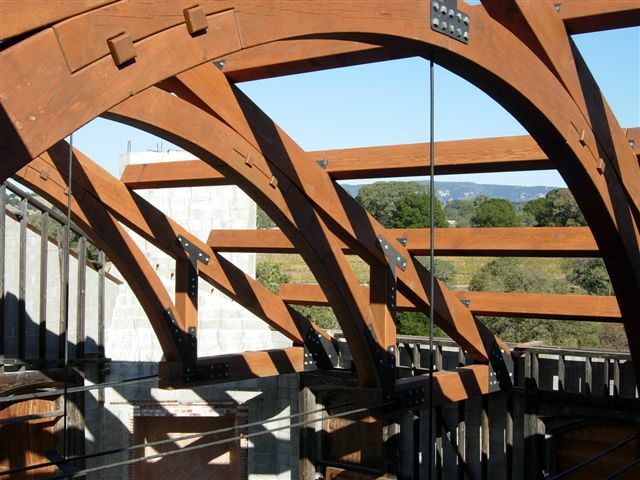 The creation and manufacturing of Timber Trusses is a service now offered by Pacific Western. 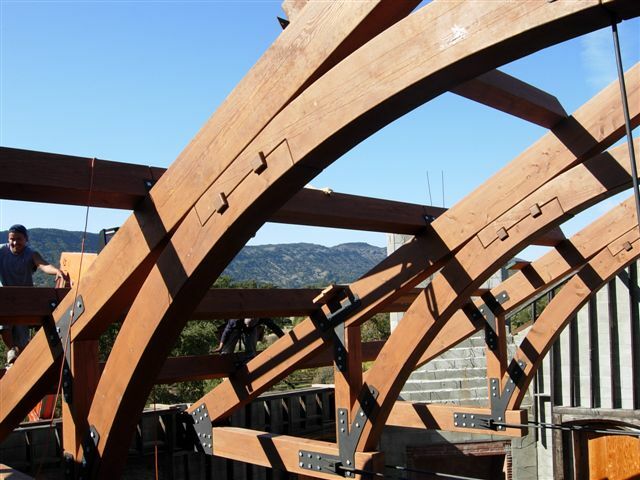 Using Heavy Timbers, or Glu-Lam Beams, with your ideas and/or completed drawings we can create and build the Timber Trusses for any project. 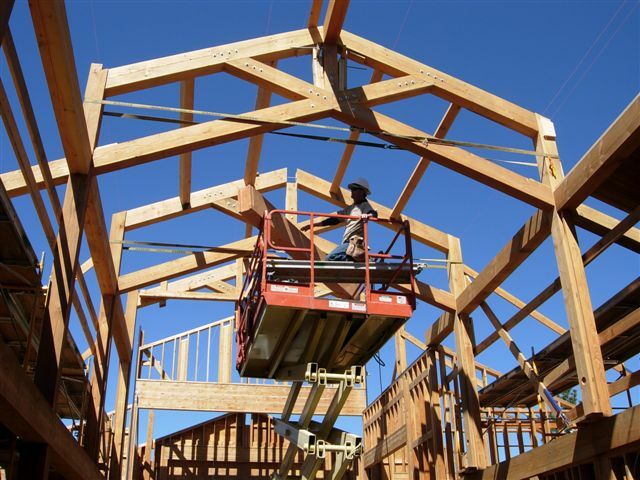 Send us an idea scribbled on a simple piece of paper and we will provide artistic, structural and shop drawings prior to building your Timber Trusses. 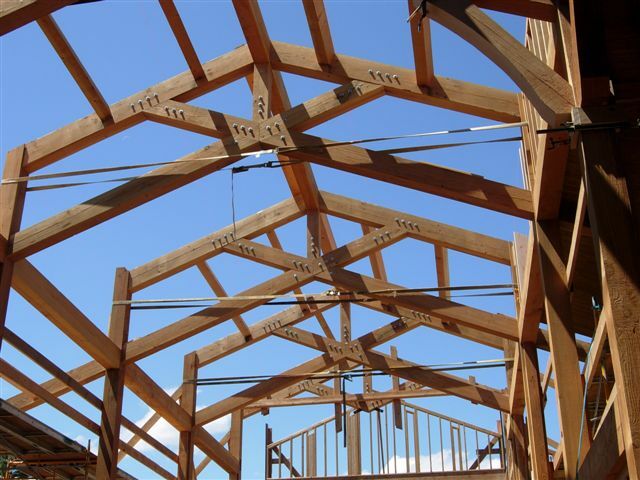 Send us your completed, structural drawings and we will drill, fit and finish your Timber Trusses to the exact specifications. 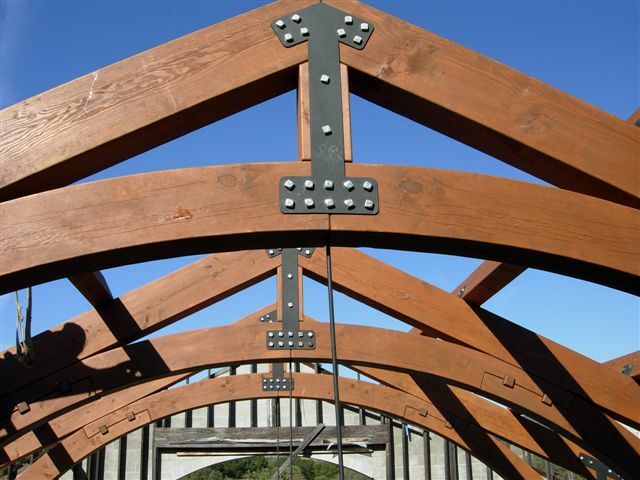 Pacific Western has completed projects in commercial and residential Timber Trusses. We can match existing or imagined fit and finishes when constructing your desired building or house. 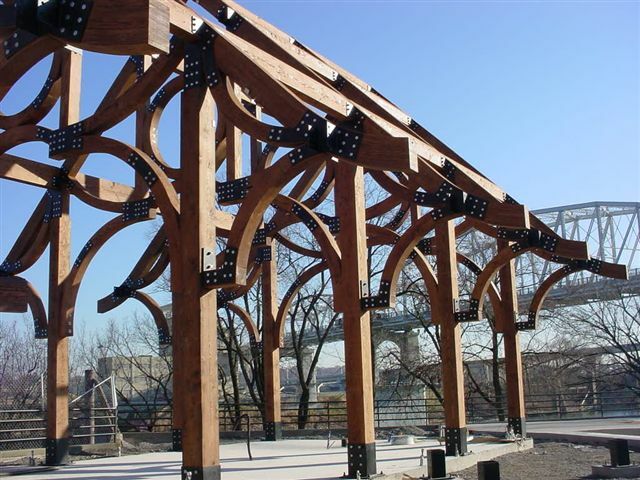 All Timber Truss packages are pre-stained and pre-assembled in the factory to insure a perfect fit. 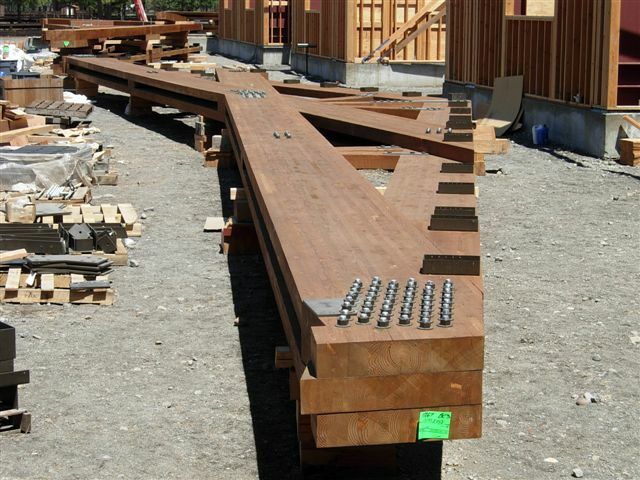 The Timber Trusses are wrapped and shipped as pre-assembled as transportation will allow. 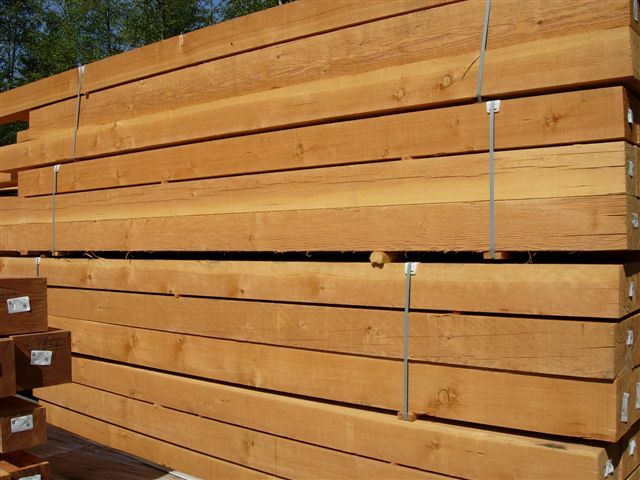 We offer Cedar from both Inland and Coastal regions. 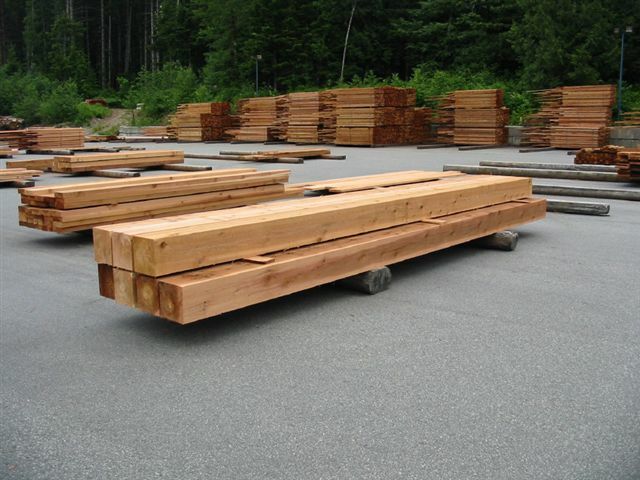 In addition, both Port Orford and Alaska Yellow Cedar are available on request. By it’s very nature, the characteristics and inherent qualities of Cedar vary widely as a result of growing conditions and regions. 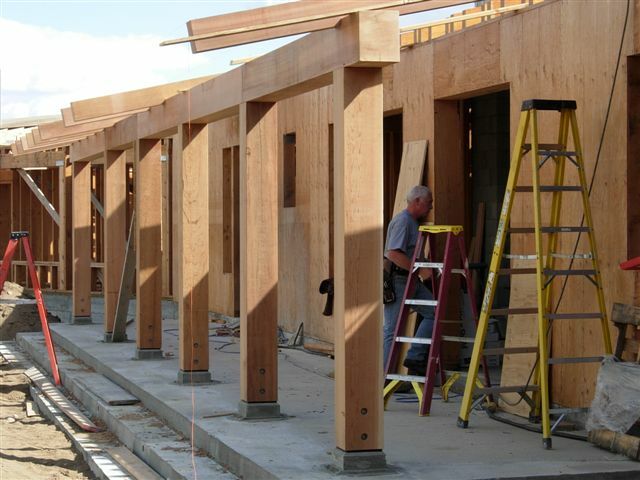 We at PacWest feel very confident in being able to match your needs with the appropriate Cedar product that best suits your project. 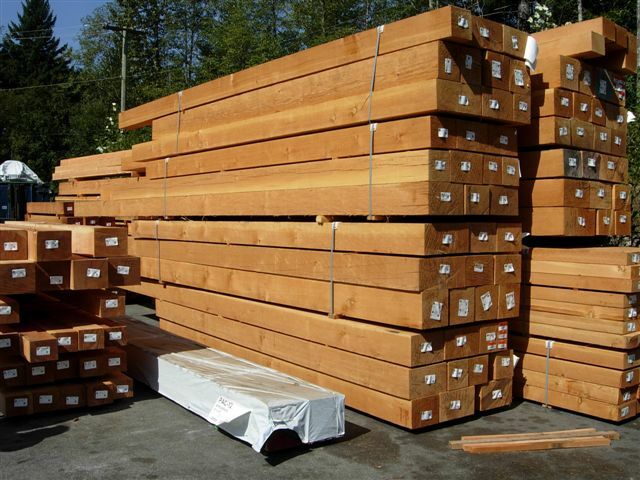 Cedar items are available in the complete range of sizes, grades, and patterns. Contact us and we’ll be happy to discuss your specific requirements with you. 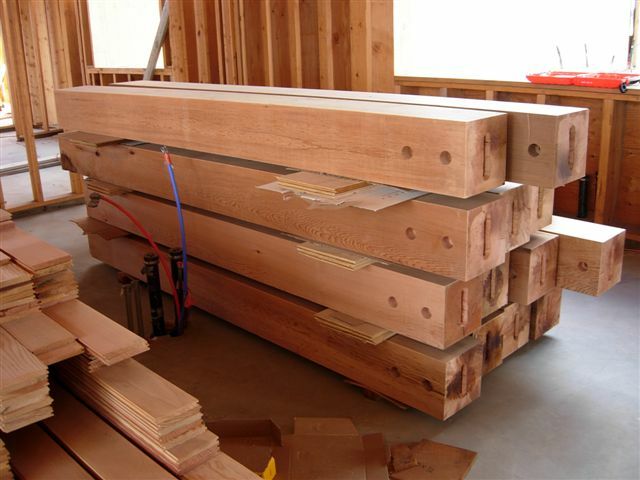 PacWest works very closely with several premium manufacturers of western red cedar timbers. These are primarily used for high grade exposed usage where the color and texture of fine grain cedar are important consideratons. 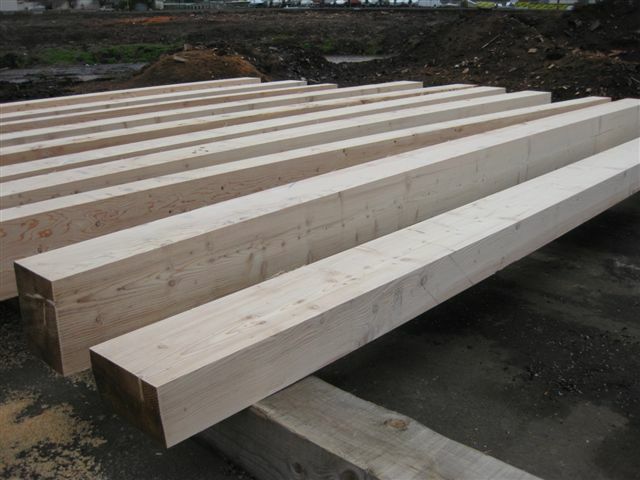 Western Red Cedar timbers are available in virtually any size limited only by the availability of logs but normally are readily sourced in dimensions up to 24×24 and lengths up to 40 foot. Cedar timbers can be sawn as FOHC if required. Specified lengths are also available per your specific requirements.